Jesus sends us because He wants people to know how much He loves them and that they can find life through Him. We need to obey Jesus and to go in faith, filled with the Holy Spirit to become catchers of people. In this passage we see the first call of the disciples, and them being sent to follow Jesus. Luke 8 and 9 then give further examples of people being sent. With one being sent to tell of the healing that he received, and the other being the apostles being sent to do the works of Jesus and proclaim His good news. Jesus did send in the bible and He is the same now which means that He also sends us. He send us into new life with Him. In Luke 5, Simon Peter sees a transformation in his job description, they are to go from being catchers of fish, to catchers of people. From catching fish to send them to death, to catching people to bring them new life. We are transformed by Jesus, we are saved, and that gives us a new job description. Our identity is not in the work we do on Earth, but in who we are in Christ, and that means we then work for Him. Plus, why would we not want to tell people of the transformation and hope that they can receive through Jesus? He sends us into the world. We cannot catch people without going to them, just as the fishermen had to go into the water before letting down their nets. Sometimes it is a specific calling to a certain place, maybe you are going to be sent, or maybe you are being reminded that God has sent you to where you are now. But it is also a daily sending; into work, with neighbours, with family etc., just like you might send somebody to get milk. It can be hard but we are not alone. He sends us into partnership with the Holy Spirit. The boat that is called over in verse 10 is called a partner, and Phil Moore explains that this refers to the Holy Spirit. We partner with the Holy Spirit and that is where our help should ultimately come from. He enables us to do the impossible, and He will save the people that we approach. He sends us into Community. In Luke 5: 10, the fishermen need help from another boat, and so they call for them. He sends us into things that don’t always make sense to us. Luke 5: 5, sees Simon Peter being told to let down his nets despite the fact that he has been fishing all night and has caught nothing. That must have seemed crazy to him. The same can be true with us. If the Holy Spirit asks you to do something, despite how odd it may seem as long as it is in keeping with the truth of the bible and is not destructive, do it! You never know what the Spirit may do through that. Often what stops us doing this is fear. Rebecca Manley Pippert says: “whatever you fear (or supremely respect) the most you will serve.” Who will you fear the most, our temporary society, or the Eternal Creator God? 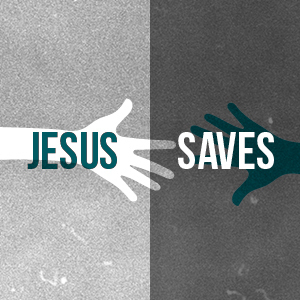 Do you know Jesus, do you know that you can be saved by Him and transformed by Him? What do you hold your identity in? How does this affect you? How can you be more assured of your identity being in Christ? Karis quoted Rebecca Pippert saying that fear is what you will serve. What do you think about this? What do you fear, and what holds you back? How can you seek the Holy Spirit to help you overcome that? Why do you think it is important that we are sent and that we actually act on this sending? Where do you think you are being sent? Which response did you have? (giving your life to Christ, remembering that you have been sent, or being sent afresh) What are you now going to do to make that a reality in your life? King’s Church Edinburgh is a Registered Scottish Charity, number SC034328. A New Ground church, part of Newfrontiers.